Welcome to the new term and the September child care blog! You may well see an increase in the number of two year olds at your setting this term, and some settings will be expanding their current early years provision to include the care and education of two year olds for the first time, to help meet a new demand for places. The reason for this demand is that around 130,000 two year olds living in England have now become entitled to 15 hours per week of government funded early education. Two year olds are eligible for this if they are looked after by their local authority, or if their family is eligible for free school meals. In a year’s time the current eligibility criteria will be widened even further. From September 2014, funded early education will also become available to two year olds whose families receive Working Tax credits and have annual gross earnings of no more than £16,190 per year, those who have a current statement of Special Educational Needs or an Education, Health and Care plan, children who attract Disability Living Allowance, children who are looked after by the LA and children who have left care through special guardianship or an adoption or residence order. This will double the number of two year olds who are currently eligible to about 260,000. So now is an excellent time to focus on an important requirement of the revised Early Years Foundation Stage, which was only introduced a year ago – the Progress check at age two. 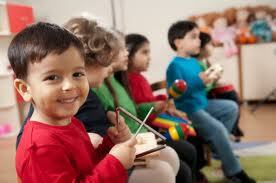 This is a statutory check that settings must carry out for every child between the ages of two and three. The main reason for its introduction was to enable earlier identification of children’s development needs, so that any additional support needed can be put into place as early as possible. Assessment of children’s progress throughout the EYFS is fully covered in my book A Practical Guide to the Early Years Foundation Stage, and this month, we’ve provided an excerpt about the Progress check at age two as a factsheet in Planet Vocational. The book also contains many activity ideas for two year olds across all areas of learning and development, fully linked to the early learning goals. Register orlogin here to view it in the Childcare Free Resources section! For full information from the Department for Education on the early education funding eligibility of two year olds, click here. Eligibility information for parents can be found here. And if you’re embarking on planning for the new term you might also like to check out Planet Vocational’sshort and long term planning proformas and examples.